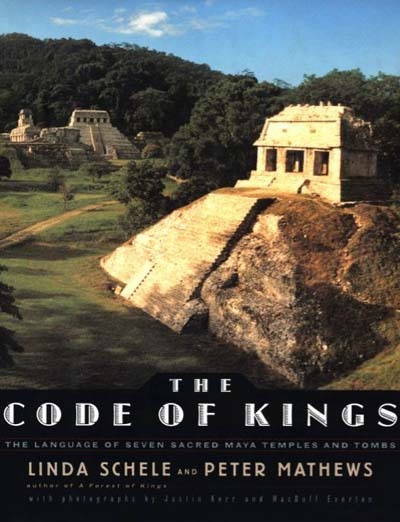 Linda Schele and Peter Mathews, in their 1998 book The Code of Kings: The Language of Seven Sacred Maya Temples and Tombs (Scribner, New York), provide a framework that makes lowland Maya sites far easier to understand. Perhaps the most noticeable characteristic of Maya architecture to Westerners is the focus on the open spaces (today called plazas, patios, courtyards), rather than on interior space. The activities and importance of these open spaces was identifiable to residents by their location within the community and the buildings flanking them. Walls and walkways channeled foot traffic around rather than through the central architecture. Probably, the average person did not commonly enter this precinct, but all Maya cities had one. Although this discussion is focusing on patterned similarities, Maya civilization, lasting for hundreds of years, encompassed considerable social and political diversity. For example, the northern and southern lowlands have rather different histories. On the other hand, although the Maya area contained considerable linguistic diversity, they had common themes in their myths. Classic Maya cities fit into hierarchical relationships with surrounding communities in the political landscape. Capital cities were the residences of the king and his family and entourage, and had provinces or subordinate cities with their own nobility, who had obligation to their king. Smaller towns and hamlets nested within these were ruled by secondary nobles.